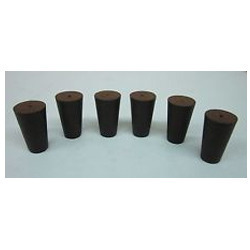 Leading Manufacturer of crim closures with rubber wad, bottle closures with latex rubber wad, aluminium ropp caps with latex rubber wad, aluminium ropp caps with sbr rubber wad, aluminium ropp caps with rubber wad and bottle closures with sbr rubber wad from Mumbai. 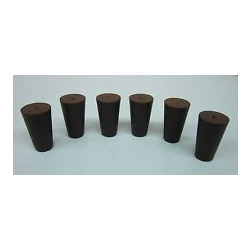 With rich industry experience and knowledge, we are manufacturing, exporting, trading and supplying a qualitative range of Crim Closures with Rubber Wad. The offered closures are manufactured utilizing supreme quality material & modern machines as per the set market standard. 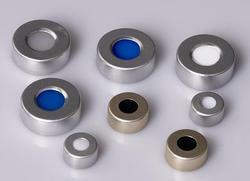 Offered closures are inspected on numerous parameters before the final dispatch to customer’s end. Our offered closures are obtainable in different sizes & customized options as per the need of customers. 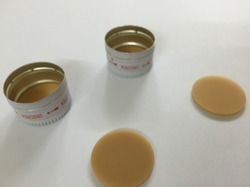 Prominent & leading manufacturer and exporter from mumbai, we offer bottle closures with Aluminium ROPP Caps With Latex Rubber Wad. 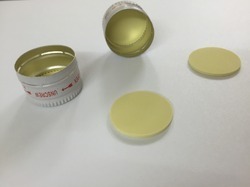 Prominent & leading manufacturer and exporter from mumbai, we offer bottle closures with Aluminium ROPP Caps With SBR Rubber Wad. 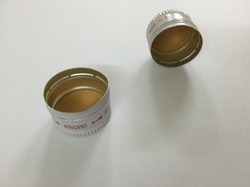 Prominent & leading manufacturer and exporter from mumbai, we offer bottle closures with Aluminium ROPP Caps with Rubber Wad. We have gained recognition as an eminent enterprise, devotedly engaged in offering a broad range of Bottle Closures with SBR Rubber Wad. Our offered bottle closure is manufactured by finest quality material & leading techniques as per the set standard. This bottle closure is obtainable in customized options as per the demand of market. Easy to open and ensuring complete durability of the products, our bottle closures are available at affordable prices. We have established ourselves as a prominent manufacturer, exporter, trader and supplier of Bottle Closer With Rubber Wad. These bottle closures are manufactured by high quality material & advance machines keeping in mind the set standard. Our given bottle closures are accessible in numerous sizes & shapes according to the needs of customers. Offered bottle closures are extremely sturdy, durable and damage-resistant. 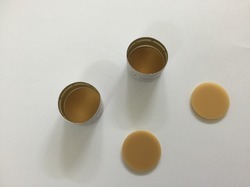 Looking for Bottle Closure ?